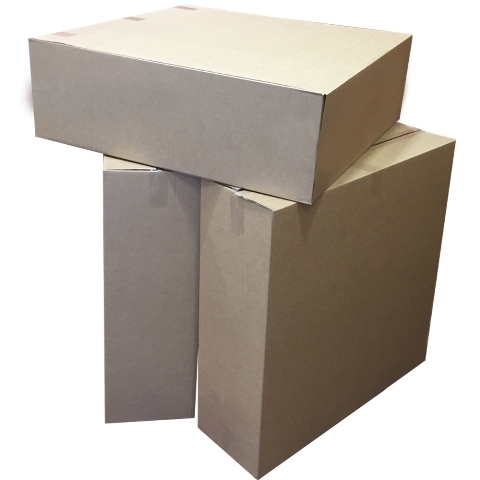 20 x Extra Large S/W Packing Cardboard Boxes 32"x10"x32"
Home » Single Wall Boxes » 32"x10"x32" Single Wall Boxes » 20 x Extra Large S/W Packing Cardboard Boxes 32"x10"x32"
A Pack Of 20 x X-Large S/W Packing Cardboard Boxes 32x10x32" (800x260x800mm). Perfect for large size items, especially irregular shapes and flatpacks, and a great size for warehouse/ dispatch use at an economy price. Should not be used for heavy items (double wall boxes are recommended for heavy items). All stated dimensions are length x width x height.